Atlantic City. Just those words conjure up such a mix of emotions for me, and likely, a lot of other people. 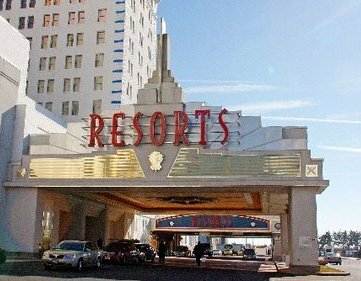 I always get excited when the opportunity arises to take that drive down the Garden State Parkway to the poor man’s Las Vegas. Whenever I leave the city, though, I am full of regret, disappointment, and disgust. It’s like I’m in an abusive relationship. The Atlantic City lures me down with promises of lavish gifts. I go and then get punched around, lose my money, lose my hope, and lose my lust for life. When I can finally pull myself away from the casino, I feel dirty and taken advantage of. I vow never to return; doing so would just make me a sadomasochist. A couple months later, Atlantic City will send me flowers (or actually just some coupons promising me five bucks in slot money) and I’ll come running back into its abusive arms. This past Christmas was no different.